A 30-year-old Bucks County woman has been charged with killing her 11-week-old son through what officials called "a lethal combination of drugs" in her breast milk. Samantha Whitney Jones of New Britain was charged Friday with criminal homicide in the April 2 death of the infant at her home. The Bucks County District Attorney's Office said an autopsy found that the baby died from a combination of methadone, amphetamine, and methamphetamine, allegedly transmitted through Jones' breast milk. Police said the child's father told them he found Jones and the baby in separate bedrooms about 6 a.m. April 2. Samantha Jones is charged with criminal homicide in the death of her 11-weeks-old son. The baby was crying, and Jones asked her husband to prepare a bottle of formula for him, according to an affidavit of probable cause. Jones said that she fed the baby the formula after husband left for work, placed her son in a bassinet and fell asleep, the affidavit said. When she woke up about an hour later, she found the baby was pale with bloody mucous coming from his nose, the affidavit said. Jones' mother, who was in the house, began CPR at the instruction of a dispatcher after they called 911, police said. 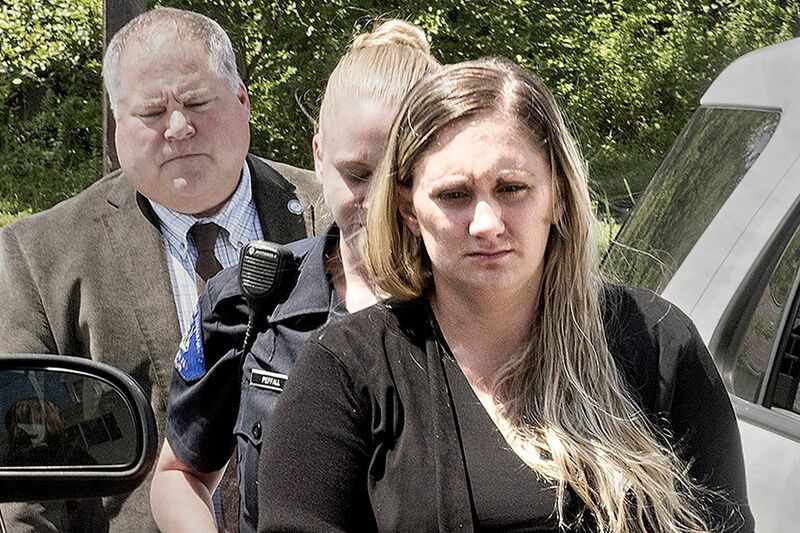 Jones told police that she had been prescribed methadone because of an addiction to painkillers, that she had taken it during her pregnancy, and that she was taking it at the time of the baby's death, the affidavit said. She said she primarily breast-fed her son but had switched to formula three days earlier because the infant did not appear to be getting enough milk. But Jones said she breast-fed the baby about 3 a.m. April 2 because he was crying and she too tired to go downstairs to prepare a bottle of formula, the affadavit said. At her initial hearing, Jones' attorney, Louis Busico, argued for minimal bail, saying the death was not intentional, and Jones was not a flight risk and was not a danger to anyone, according to prosecutors. District Judge Jean Seaman set bail at $3 million cash and tentatively scheduled a preliminary hearing for July 23. Jones has a 2-year-old son who is in the custody of his father, Busico said. Editor's Note: This story was modified to correct the victim's age.